Have you ever locked keys in car? If you answered yes to that question then you know how frustrating it can be once you are in that situation. Getting keys locked out your car in New York definitely isn’t the best thing that can happen. Hook and Go Towing services offers fast and reliable car lockout services in New York towing. So you might ask what to do when you lock your keys in your car, you can simply call Hook and Go towing, a New York towing company, for a quick and reliable lockout service in NYC. It is our goal to be the best and the fastest car lockout provider, we are one of the best car lockout companies’ in the New York area. We specialize in any type of car lockout problem, doesn’t matter what year, make, or model your vehicle is; Hook and Go will come to your spot and unlock your car for you without any hassle. Whether you need to unlock your cars, or a trucks door to get your keys or whatever the case maybe, you can rely on this New York Towing Company for fast, reliable, and affordable lockout service. Hook and Go Towing is fast and reliable, we are available 24 hours a day making your life easier when you are in need of quick and affordable car lockout service in queens and or surrounding areas. Hook and Go Towing has the special lock out equipment that will unlock your vehicle in without any damage to your beloved car, truck, van, or SUV. 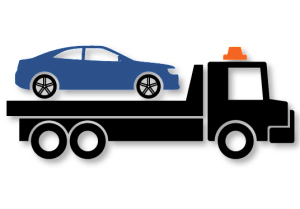 When it comes to providing service to our customers in their Towing or Roadside Assistance in NY we strive hard to provide them with the best and greatest service at the cheapest rates.